In fact, a portion of every purchase is used to support local and military organizations working hard to support the soldiers and citizens in our community like: MMR Ft. Know, United Way of Central Kentucky, Central Kentucky Community Foundation, SpringHaven, Community Health Clinic of Hardin & Larue County, Big Brothers Big Sisters, Habitat for Humanity, Hooray for Heroes, Feeding American and so many more organizations. We contribute to over 100 schools & organizations in the Hardin County every year! 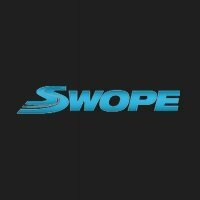 *Please ask one of our Product Specialists about how the Swope Total Satisfaction Guarantee can help you with your next vehicle purchase. We are all here to help you! Please Note: There must be less than 600 miles on the odometer or 3 business days. Whichever comes first.